I was raised in a Pentecostal church. For some who may not know this denomination, it is a Christian church with a strict doctrine. 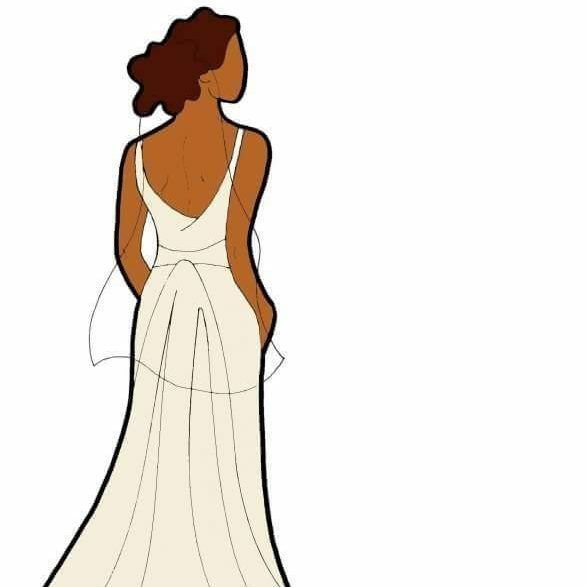 When the day comes for me to walk down the aisle, my grandmother would love for me to wear a dress that is not revealing. I thought I was the only one in this dilemma. I went into a bridal salon and heard a young lady who was Jewish request a dress with a covered bodice. So I am thinking; WOW! We must have the same grandmother. What does a modern bride do when she wants to look chic and trendy? A tulle trumpet gown with circular layered skirt and all-over beaded tulle cape with linear Egyptian lotus-motif embroidery. This silk belted wedding gown is very elegant and a show stopper. To all my curvaceous or plus size brides, Bara is a great designer!! !